Each year, thousands of people move around to new metropolitan areas across the United States. People relocate for jobs, to start families, for higher education or even because of the allure of the area they’re moving to. Cities such as New York, Los Angeles, Washington, Boston, Chicago, Miami, San Francisco and Seattle are full of transplants for many of these reasons. Other cities ­– particularly those in the “Rust Belt” region near the Great Lakes such as Detroit and Cleveland – might not see as much inward migration. The words “I’m moving to New York” are uttered a lot more than “I’m moving to Detroit.” But just because the masses aren’t moving to Detroit or Cleveland doesn’t mean that you shouldn’t consider a relocation there. Let’s take a closer look at these cities. Here are some Motor City facts. Detroit is America’s 18th largest city (with an estimated population of 701,475 in 2012), and about 4.2 million people live in the metro area. The city recently filed the largest municipal bankruptcy in U.S. history, although several surrounding suburbs remain affluent. 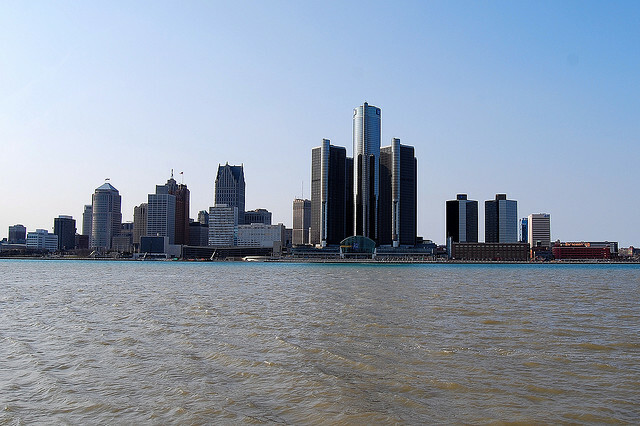 Detroit is also one of the few places in the United States where you go south to go to Canada (the city sits on the north bank of the Detroit River, which serves as a border between the U.S. and Canada). None of this seems to make Detroit an appealing place to live. Add in cold winters, issues with crime and decades of economic decline, and it’s easy to see why people tend to speed away from the Motor City instead of moving there. But there are some benefits in relocating to Detroit, particularly if you’re considering moving to suburban areas. While the recent decline of the Detroit-based auto industry has hit the area hard in recent years, that industry is starting to make a recovery. (The bailout of General Motors by the U.S. Government has played a major role in this gradual recovery, but slight movements back toward manufacturing vehicles in the United States have also helped). The cost of living in Detroit is also relatively low. Housing prices are about 75 percent lower than they are in New York, and 37 percent lower than they are in Chicago. The cost of expenditures such as transportation, groceries, utilities and health care also stack up favorably with other large cities. Once a booming industrial city, Cleveland has fallen on hard times in recent years. The city’s population has declined (although not as dramatically as other cities in Northeast Ohio have), basketball superstar LeBron James spurned his hometown team (the Cleveland Cavaliers) to “take his talents to South Beach,” and a resident was convicted after kidnapping three girls, holding them hostage in his home for a decade and abusing them. Yet, there is some hope for this city by Lake Erie. The rescue of those three abducted women (along with the child of one of them) captivated the nation. Revitalization of several neighborhoods and a renewed focus on the arts have helped improve the city from where it was in the 1980s. And even the long-suffering Cleveland sports teams have started to see a resurgence in recent seasons. Why should you move to Cleveland? For one thing, housing is readily available. 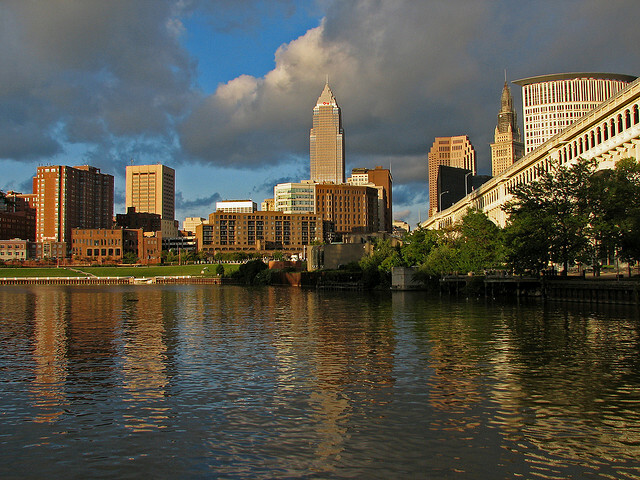 Cleveland’s estimated 2012 population was 390,928, which represented a decline of about 6,000 people from the 2010 census. This outmigration has left a large supply of available homes. If you’re wary of moving to a city with a waning population, consider relocating to the greater Cleveland area. While Cleveland’s population has been steadily declining since the 1950s, suburban areas around it have grown exponentially. In fact, the Cleveland metro area now has more than 2 million people living in it. As with Detroit, the cost of living is relatively low in the Cleveland area. Housing costs are about 75 percent lower than they are in New York and 32 percent lower than they are in Chicago. See how far your salary will go in another urban area using this cost of living calculator. Urban revitalization has also made a city that was once best known for being home a polluted river that caught fire become an environmentally friendly and aesthetically pleasing place to call home. You’ll still have to deal with lots of snow blowing in off Lake Erie, though. If you’re looking to move, go with Garrett’s Moving and Storage. We’ve moved thousands of customers across the Dallas-Fort Worth Metroplex and across the nation since 1992. For a free moving estimate, click here or call 972-487-5843. This entry was posted in Moving Stories and tagged cleveland, detroit, long distance moving. Bookmark the permalink.